Marie “Mimi” LoCoco has been serving Northern California insurance needs of families, individuals and businesses since 1984. She has been helping people navigate through the maze of health, life, long-term care and disability, providing individual attention to her clients making sure they get the coverage that best suits their needs. Now, her daughter Heather has joined Mimi as a new agent. Together they are able to provide outstanding service with the knowledge you need to navigate the insurance landscape. 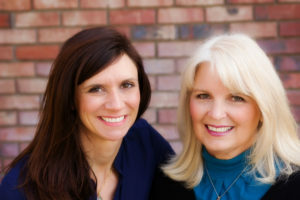 Heather and Mimi are lifelong residents of the North State, with Heather growing up in the Burney/Fall River area, They now reside in Redding and Dunsmuir. Having roots in the North State, you can rest assured they will find the best insurance coverage that will work in our community. Please contact Kari at Haley Insurance Marketing for all your home, auto, business and farm needs. Kari has worked with Mimi for 20 plus years and will help you find the right policy.